Former FBI Director James Comey fielded questions from members of the Senate Select Intelligence Committee during a hearing on Thursday, saying he was "concerned" that President Trump "might lie" about their meeting. Comey testified that he kept notes after meeting with Trump because "I was honestly concerned that he might lie about the nature of our meeting, and so I thought it really important to document." The White House has given shifting explanations on why Trump fired Comey. Trump has called Comey a "showboat" and a "grandstander" and said he was thinking of "this Russia thing" in dismissing him. Comey went on to compare his conversations with President Trump to those he had previously had with former presidents Barack Obama and George W. Bush. Comey stated he worked under Obama for three years and spoke with him alone two times. 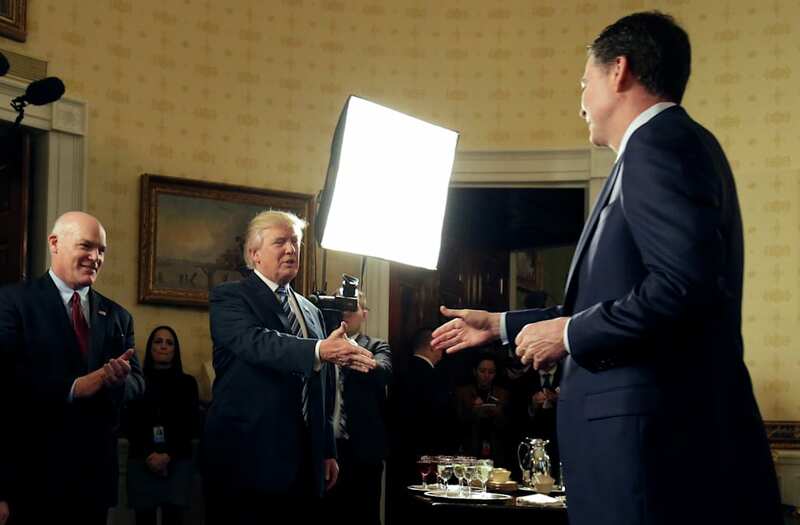 Comey added he had spoken to Trump individually some nine times in the first four months of the 45th president's White House tenure. "I didn't feel the need to document my conversations with Obama or George W. Bush," Comey stated. "They weren't like this." Some legal experts said Comey's testimony could strengthen any impeachment case in Congress to remove Trump from office built on an allegation of obstruction of justice.